Calling 999 should be to report an emergency - but the police often get calls from people just being daft. One caller in Yorkshire rang 999 last month to report a fight between Stacy Slater and Archie Mitchell from the 2009 Christmas episode of EastEnders. Another asked for her phone number to be passed on to a movie star, while others played music and asked the time! 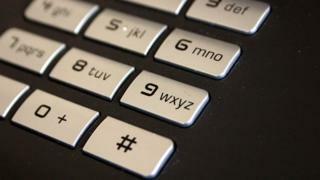 West Yorkshire Police are asking people to dial 101 when making non-emergency calls to officers and not to abuse 999. The 101 number is now being used by all police forces across England and Wales for non-emergency calls. Mark Milsom, from West Yorkshire Police, said: "The festive period is one of the busiest times of the year... officers should not be wasting time dealing with inappropriate calls instead of emergencies."